Architects understand how important the efficiency and reliability of a supplier are, not to mention that their products must be of the highest quality and meet all specifications, however complicated. Fortunately at DWL, with a long track record of working with architects, we are also fully aware of these requirements, making our supply and installation services ideal for a range of architects and designers. An end user may have contracted you to design a high quality, bespoke and complicated project. In these cases, you need products that combine style and performance to adhere to building regulations. 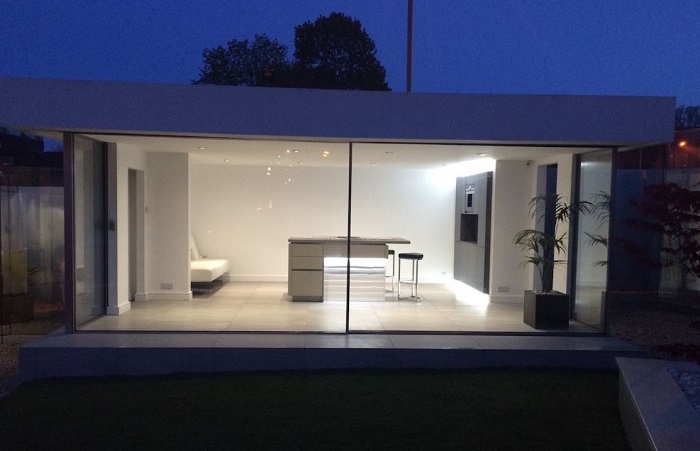 We can guide you through this process as it applies to glazing, with our experienced and dedicated project managers. Within our product line there is a lot of room for customisation and bespoke design. This includes shaped and coloured windows, large aluminium sliding doors, frameless corners, seamless glazing and a range of glazed extension roofing systems. All supported with design advice, technical specification documents and CAD drawings from our in-house design support team. All of our windows, doors and living spaces are available in a choice of uPVC, timber effect and aluminium. This ensures that architects and designers are able to plan effectively for stylistic, performance and conservation requirements. In addition to this customisability, our products all also offer energy efficiency, security and durability as expected. These factors are ideal for creating the highest quality architectural designs possible – and those that will need little maintenance after installation. There is nothing worse than a company looking genuine and posing as something they are not when they have no portfolio to back it up. Luckily, at DWL we have an extensive collection of previous installations featuring all of our products, with a multitude of positive reviews. This includes commercial and residential projects, which highlight the versatility of our product range, and our positive work ethic. Our team are always willing to go above and beyond for the architects and end users that we work with. In fact, many of our customers comment that it is our customer service and attention to detail that prompted the decision to choose us.